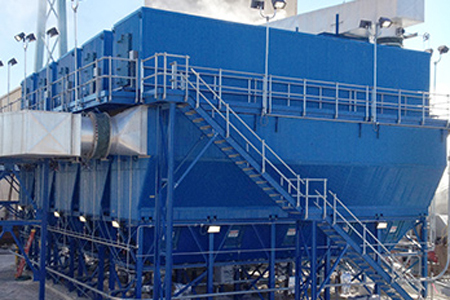 The UltraCat Catalytic Filter Systems Installation for MACT compliance. Catalytic ceramic filter tubes have nanobits of proprietary catalyst embedded throughout the filter walls, which are about 3/4" thick. 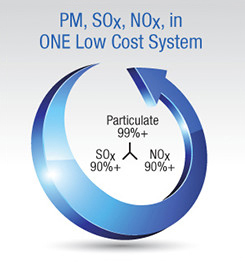 UltaCat can achieve excellent NOx removal at temperatures of 350°F and higher. Operating range is approximately 350°F to 700°F. Urea ammonia is injected upstream of the filters, reacting with NOx at the catalyst to form harmless nitrogen gas and water vapor, which then exits the system as gases.